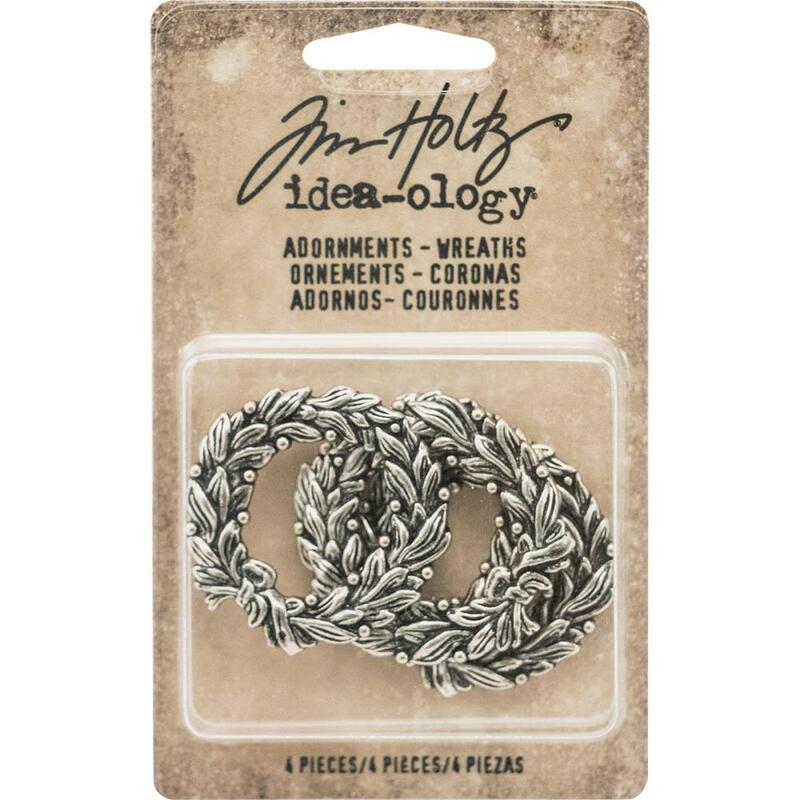 $9.66 - Advantus TH93254 Idea - Ology Metal Adornments Antique Nickel Silverware - 2.5 in. 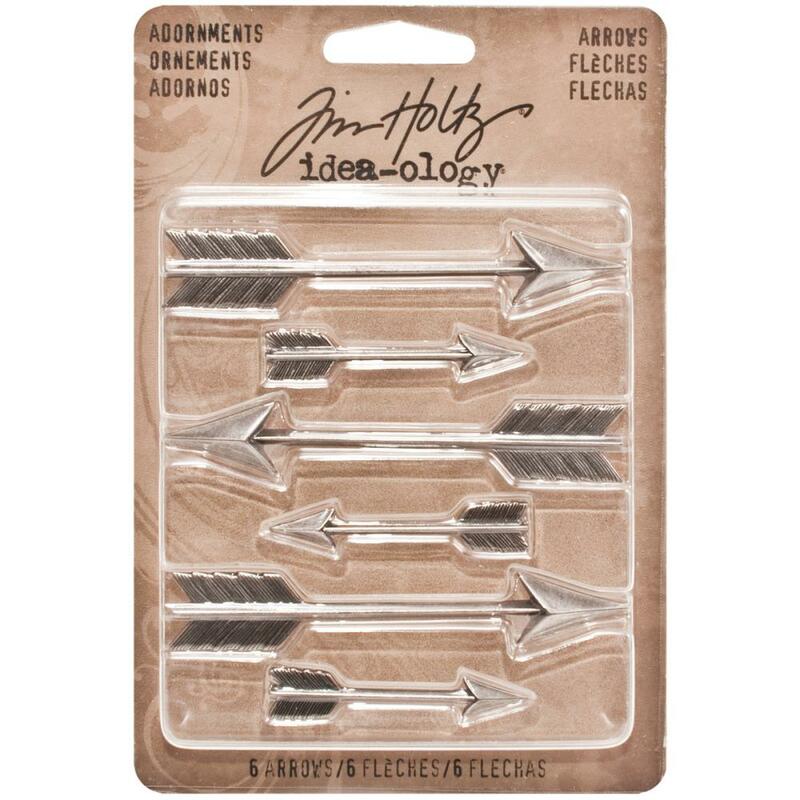 Home Office>Arts & Crafts>Scrapbooking Supplies>Scrapbooking Supplies Advantus TH93254 Idea - Ology Metal Adornments Antique Nickel Silverware - 2.5 in. Advantus TH93254 Idea - Ology Metal Adornments Antique Nickel Silverware - 2.5 in. Dimensions - 0.15 L x 3.75 W x 5 H in. ADVANTUS-Tim Holtz Idea-Ology Adornments. Use these metal embellishments to add beauty and decoration to almost any project! This package contains ten Regal Metal Adornments (2 each of 5 designs). Size ranges from 7/8x1-1/4 inches to 2-1/2x3/4 inch. Imported. ADVANTUS-Idea ology Metal Adornment: Nature. A perfect addition for any project! This 5-1/4x3-1/2 inch package contains six unique adornments. Imported. ADVANTUS-Idea ology Metal Adornament: Arrows. A perfect addition for any project! This package contains three 1-3/4 inch arrows and three 3 inch arrows. Imported. Advantus-Idea Ology Metal Silverware Adornments. The perfect addition to your paper crafts, mixed media projects and so much more! This package contains nine 2-1/2 inch tall metal adornments. Imported. ADVANTUS-Tim Holtz Idea-Ology Adornments. Use these metal embellishments to add beauty and decoration to almost any project! 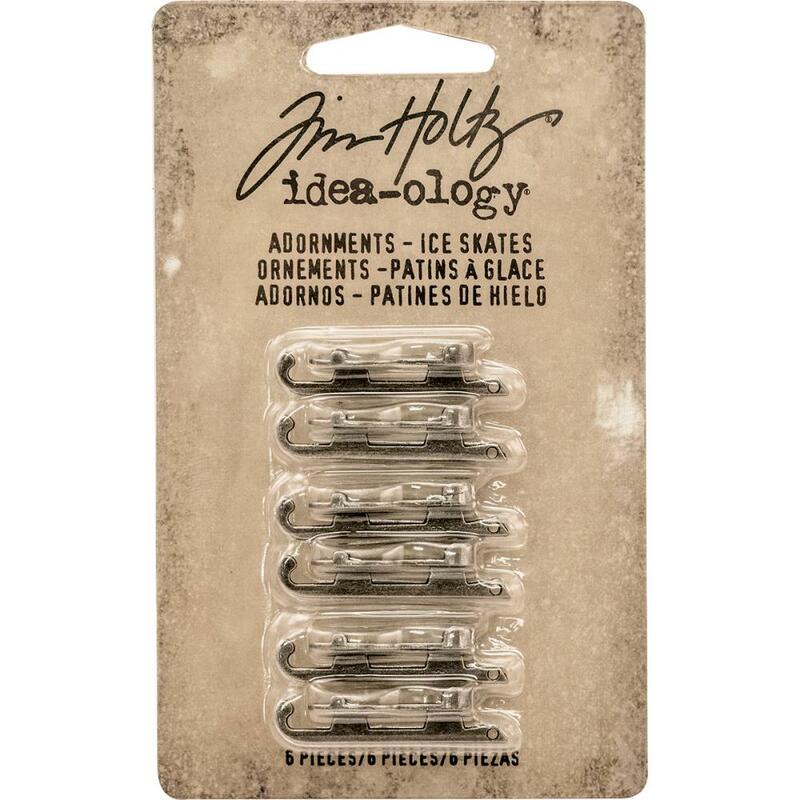 Tim Holtz-Idea Ology Metal Adornments: Antique Nickel Ice Skates. These Are The Perfect Addition To Your Next Paper Crafting Project! This Package Contains Six 1-1/4X1/4 Inch Antique Nickel Ice Skate Adornments. Imported. These Are The Perfect Addition To Your Next Paper Crafting Project! 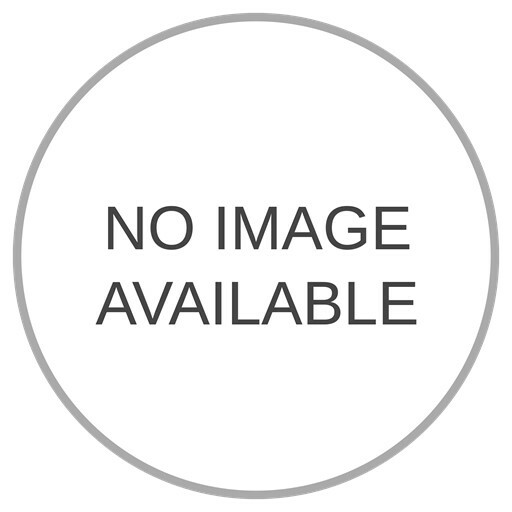 This Package Contains Four 1.25X1.25 Inch Metal Wreath Adornments. Imported. Advantus TH93244 Idea - Ology Metal Number Tokens Antique Silver - 0.75 in. Dimensions - 0.25 L x 3.75 W x 5.5 H in. ADVANTUS-Tim Holtz Idea-ology: Metal Word Bands. Each of these flat metal strips in inscribed with a different inspirational message. Use them to adorn cards and layouts; mixed media projects; or home decor items. They measure 3/8x2-3/8x1/16 inch and there are twelve included in the package. Imported. You'll always be able to express yourself with style using the Quotations Metallic Stickers by Tim Holtz for Advantus! The package includes four 4.75 x 7.5 in. sheets of metallic phrase stickers; 316 stickers in all. One sheet features gold letters on black one features silver letters on black one features gold letters on white and one features silver letters on white. These stickers are part of the Idea-ology Collection. Themes: Phrases and Expressions Metallic Vintage Universal. Quotations color: Black With Gold & White With Gold. Quotations color: Alpha Gold With Black & Gold With White. Quotations color: Alpha Silver With Black & Silver With White. Size: 1 x 2.5 in. 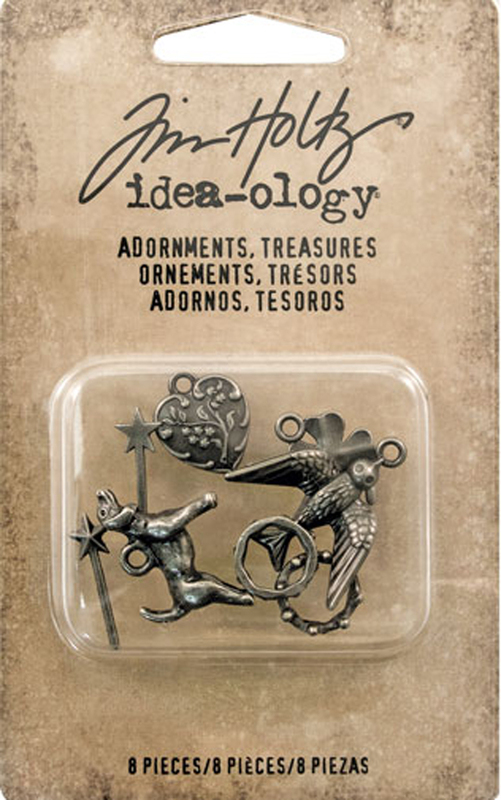 Tim Holtz-Idea Ology Metal Adornments: Treasures Charms And Accents. Add these decorative ornaments to mixed media projects and more! This package contains eight assorted metal adornments measuring between 3/8 inches and 7/8 inches. Adornments: Elements used for providing a decorative ornament or adding beauty. The details and random assortment of these trinkets add the perfect touch to jewelry and paper craft projects. With a variety of uses and ways to alter them. The smaller Arrow measures approximately 1.25" and the larger Arrow measures approximately 3". You will receive 6 Arrows (3 of each size) in each package. Arrow charms have an antique nickel finish and a flat back.